Bengbu (Chinese: 蚌埠; pinyin: Bèngbù; Wade–Giles: Peng-pu) is a mid-sized city in northern Anhui Province, China. Its built-up (or metro) area made of 4 urban districts has nearly one million residents, though the Prefecture-level city under its jurisdiction had 3,164,467 registered residents at the 2010 census. Its name means "Oyster Wharf" in Chinese, echoing its former reputation as a freshwater pearl fishery. The city's urban agglomeration is about to include Huaiyuan county, which is under its jurisdiction, as well as Fengyang county in Chuzhou municipality. This contiguous built-up area would have approximately 2.6 million residents. The prefecture-level city of Bengbu administers seven county-level divisions, including four districts and three counties. These are further divided into 74 township-level divisions, including 36 towns, 19 townships and 19 subdistricts. 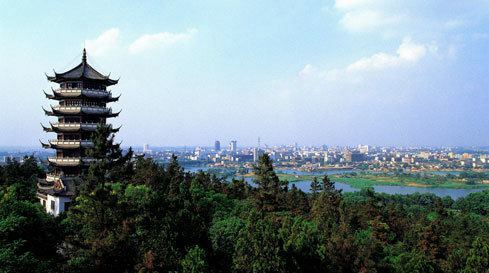 Bengbu is located in the southeast of the North China Plain, on the Huai River. 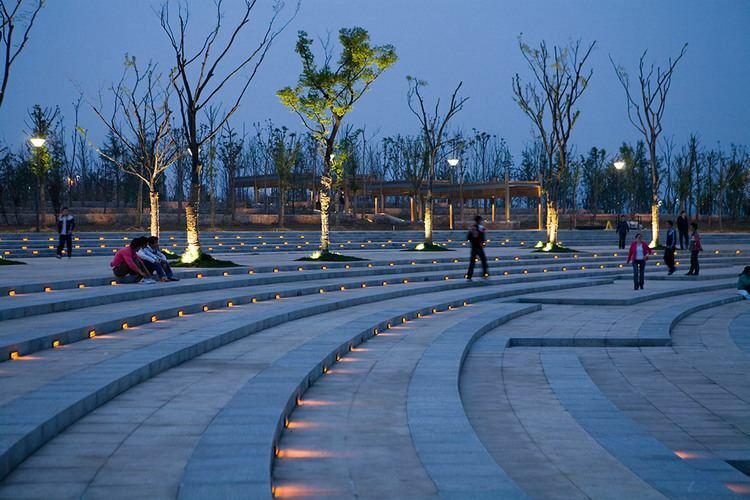 The built up urbanized area is divided into two parts: greater Bengbu on the south bank of the river and little Bengbu on the north bank. Dragon Lake is on the East side of the urbanized area. On the other side of the lake is the university district, containing four institutions of higher learning. The area has a four-season humid subtropical climate with strong monsoon influences (Köppen climate classification Cwa), cool, sometimes cold, winters, and hot and humid summers. The area lies in a climatic transition zone, as it is on the Qin Ling−Huai River boundary between the climatic regimes of northern and southern China. The monthly 24-hour average temperature ranges from 1.8 °C (35.2 °F) in January to 27.9 °C (82.2 °F) in July, and the annual mean is 15.43 °C (59.8 °F). A majority of the annual precipitation occurs from June to August. With monthly percent possible sunshine ranging from 41% in March to 50% in August, the city receives 2,036 hours of bright sunshine annually. In ancient times, the Dongyi peoples inhabited this area and were collectively known as the Huaiyi after the Huai River. During the late Western Zhou Period and the early Spring and Autumn period, the Dongyi became increasingly sinicized. During the late Spring and Autumn period, the once-powerful Dongyi state of Xu was pressured from all directions and destroyed through a series of wars with its neighbors, such as the Chu State and the Wu State. Another Dongyi State was the small Zhongli State, which was a part of the Huaiyi Confederation led by the State of Xu. Tombs belonging to the royalty of the Zhongli State were discovered in excavations between 2005 and 2008 near Fengyang. Eventually, the Huaiyi peoples were either pushed south or assimilated. Bengbu has always been a hub of water and land communications in Anhui province, and a major distribution centre for the Huai basin. In 1948, during the Chinese Civil War, the Communist People's Liberation Army won a decisive victory over Chiang Kai-shek's Nationalist (KMT) forces near Bengbu, in the Huaihai Campaign. 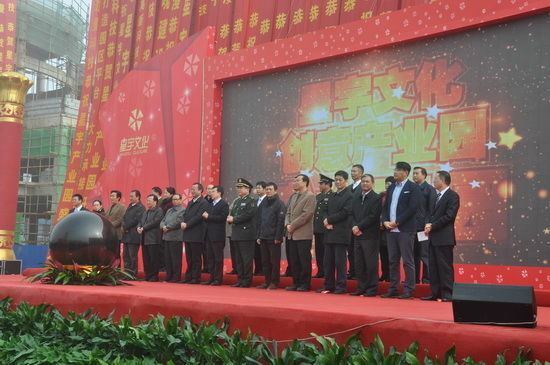 Bengbu is now a famous food city in Anhui province. Food-related industries account for 44% of the city's industrial production. The city's other industries include engineering works, textiles, glass making, chemicals, and electronics. The light textile holds an important position in the industrial structure. 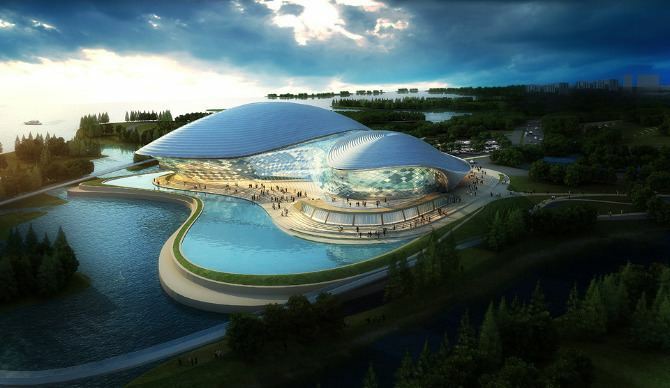 Bengbu is teeming with oil, vegetables, meat and aquatic products. Bengbu is a large producer of peanuts. The pomegranates from Huaiyuan (a county of Bengbu), have a high reputation in China. In Wuhe (a county of Bengbu), the crabs are also famous. Pollution in the village of Qiugang, a suburb of Bengbu, was the subject of the 2010 film The Warriors of Qiugang, an 83rd Academy Awards nominee. Bengbu dishes are one of the three flavors of Anhui cuisine - Yanhuai cuisine. This flavor is represented by the dishes of Bengbu, Suxian region and Fuyang and is prevalent in north-central Anhui province. Yanhuai cuisine is salty, plus slightly spicy, with coriander and peppers as seasonings. It’s famous for its briskness, crispness and saltiness. It has several cooking methods such as roast, fry and steam. Bengbu cuisine, along with northern Anhui cuisine, is similar to cuisine from nearby Henan and Shandong provinces, as well as Xuzhou cuisine in northern Jiangsu province. The city is on the Jinghu Railway, with hourly direct trains to Beijing, Shanghai and other large cities. The new Bengbu South Railway Station is served by the high-speed Beijing-Shanghai Railway. Bengbu Airport, which has been relocated from the city's central urban area around the turn of the 21st century, is presently operated only as a military airfield; however, provisions exist for its future dual use (civil and military).